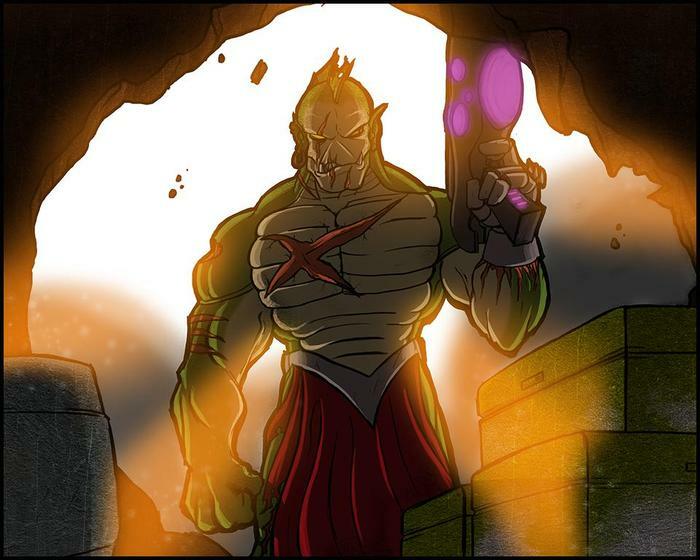 Bands of Sulph-Orcs raiders have terrorized deep space shipping lanes for millennia. Fortunately for the galactic shipping conglomerates, Sulph-Orcs raids are typically checked by poor organization and intraspecies conflict. The exception is the Tydanic Horde, an alliance of hundreds of smaller Sulph-Orcs bands forged into a single force through eighteen years of brutal warfare by Kharachar, the greatest War-Prince the Sulph-Orcs have produced in centuries. Kharachar has all but eliminated the conflicts among his subject troops and has lead the Tydanic Horde to dominate a vast empire in the Tydanos Cluster. Boroghul the Ragged was a decorated Sulph-Orc Claw, a title held by a mere handful of the most unusually long-lived warriors in Kharachar's War-Band. Boroghul's station and his gristly, glory-torn body spoke to his years of service and his tenacious ability to survive countless conflicts. Even so, when the Tydanic Horde recovered a massive Laser Dragon corpse and began repurposing it to outfit their current ships and craft new vessels, even Kharachar's most trusted Blade-Generals were surprised that the War-Prince gifted an entire claw to Boroghul, making provisions for it to be outfitted with a Kokytic drive. 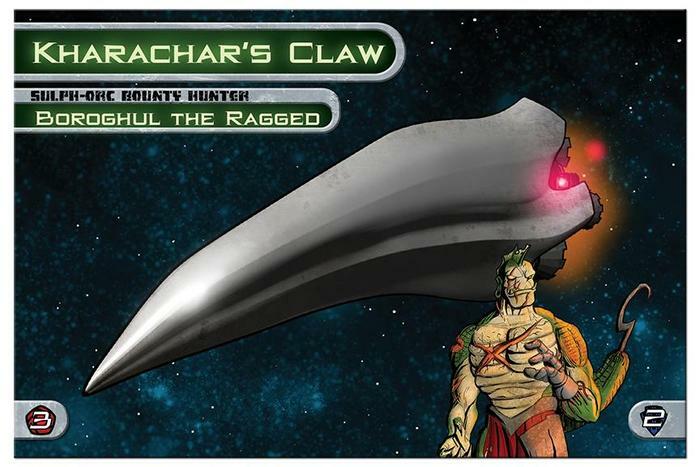 Boroghul gladly accepted his "retirement" gift and styled it after his own impressive title: Kharachar's Claw. Ever since, Boroghul the Ragged has been operating largely on his own as one of the most feared bounty hunters in the galaxy. Nevertheless, Kharachar demands occasional service, and Boroghul's clients know that their contracts will be dropped in an instant if the Tydanic War-Prince requires his Claw. Boroghul is known and respected for his efficiency, his ruthlessness, and his penchant for conserving ammunition in favor of flying his ship straight through whatever vessel is unfortunate enough to be in his sights.